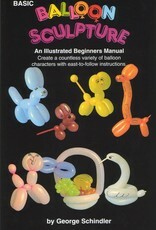 Here is a 96 page illustrated book of easy-to-make Balloon Sculptures for children and adults. 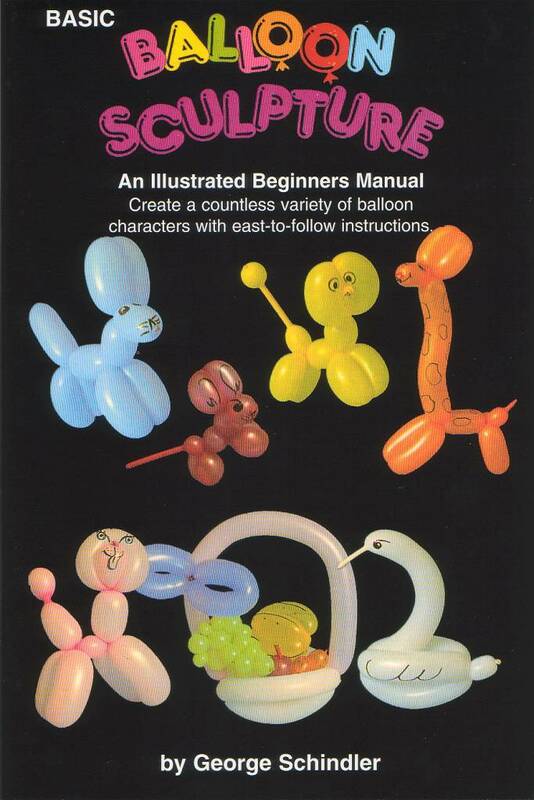 All of these simple animals can each be made with a single Sculpture Balloon. Once you learn the basic twists and locks, you will have fun using your animals, hats, and designs for birthday parties... or as an entertaining act. you can even earn money at parties making colorful sculptures for the guests. Add a few other balloons and you can make a fruit basket, giant bumble bee, or party favors and other hanging or table decorations. There are even balloon games you can play alone or with friends. Each easy-to-learn set of instructions is accompanied by clear, step-by-step drawings so that you can follow as you learn. George Schindler is a professional entertainer who has also authored "easy-to-learn" books on Magic and Ventriloquism. His easy-to-follow lessons will help you learn the basics and develop your technique in the shortest possible time.